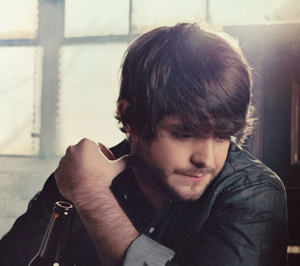 It should be no surprise if you haven’t heard about Thomas Rhett Akins before. He’s a brand new singer and songwriter on the Nashville scene. The 21 year old hasn’t released any music yet and hasn’t appeared on the mainstream country music scene…yet. Something you can count on in 2012 is to hear some music from this up and coming country star. Over the last couple years Thomas has been busy working on his writing and singing. He’s been out on tour playing shows with his band as an opening act for fellow rising star Brantley Gilbert. Earlier this year Thomas Rhett was signed to Big Machine Records (Taylor Swift, Justin Moore, Brantley Gilbert, and more). The label put TR out on the road and had him start looking for songs. It’s getting to be late 2011 and Thomas Rhett’s name is popping up more and more in country circles. He’s going to be big news by this time next year. Who is Thomas Rhett Akins? The name Rhett Akins may sound familiar to those of you that listened to country back in the ’90s. Thomas Rhett’s father is Thomas Rhett Akins Sr. – better known as Rhett Akins. Back in the ’90s Rhett had a few big hits including [easyazon-link asin=”B000W1Z02U”]That Ain’t My Truck[/easyazon-link] and Don’t Get Me Started. Since then Rhett’s been a big part of Nashville having written huge hits for stars like Blake Shelton, Joe Nichols, Rodney Atkins, and more. Rhett has also been involved in various hunting shows on TV. He’s still an important part of country music even if he’s not as well known for his own singing these days. Thomas Rhett is 21 years old. In a great interview with Taste of Country, Thomas Rhett talked about how he kind of stumbled into country music. He wasn’t even sure he wanted to follow his dad’s footsteps, but it kind of worked out that way. Check out the entire interview. It’s worth your time. What I find most interesting is how laid back Thomas Rhett is about his dad. TR seems to know the discussion will surround his father for some time. He’s not shying away from it. He’s embracing it in ways and also looking to make his own name out there on the road and on the radio. TR sounds like his daddy a little bit. It’s no surprise. Dad’s have a way of passing on a few good traits and a few bad traits. Having a few of the same vocal qualities of Rhett Akins is a good thing. And TR even looks like his dad. It’s a good outlook to have. TR seems like h has a good head on his shoulders and seems primed for success as a solo act starting in 2012. TR’s dad got him involved a little in country music. Some chance happenings led to a publishing deal. For a good year TR spent his days writing with others on Music Row. He got a few cuts including one of my favorites from Jason Aldean’s latest album – [easyazon-link asin=”B0048067WI”]My Kinda Party[/easyazon-link]. That song – [easyazon-link asin=”B00480AIWS”]I Ain’t Ready To Quit[/easyazon-link] – is about having a few vices in life. We all have at least one – cigarettes, beer, cajun food. Whatever it is we just aren’t ready to quit. Even the love of a good woman. No matter the circumstances we can’t give it up. It’s a great track and one of the best on Jason’a album, which is full of great tracks. With a few other tracks cut by other artists it seems like TR has made a name for himself already as a songwriter. Now he’s working on his first album with Big Machine. He says it should be due out next year with a single possibly by the end of 2011. It could be a big year for Thomas Rhett. Based on the songs he’s had cut by other artists, TR is sure to have a few more good songs up his sleeve. He has a unique sound. There is a movement in country right now of country rockers (Jason Aldean, Brantley Gilbert). They have an edge. They have attitude. They also have a sweet and romantic side. TR is coming around at the right time in country music. He has the style country fans are really digging. If he can come out with a good first single and a good second single he could be a country star by this time in 2012. I’m hoping for something really rocking and perhaps a more romantic track like his Dad’s co-write [easyazon-link asin=”B0058U20Y6″]Honey Bee[/easyazon-link]. I saw Thomas on “Better” yesterday. Loved him & his new video. I had to do a double take when he came on thinking, OMW Rhett is back!! I miss Rhett & hope things go well for his son. It would be REALLY COOL if they did a little tour together! Why would anyone want to have a beer with jesus??? He died for all of our sins. He is 1 Holy God not someone to go hang out with.